If you are thinking of starting a blog in 2017 then here are some very common WordPress mistakes that new bloggers make and some very useful plugins that will help you fix these common WordPress mistakes. 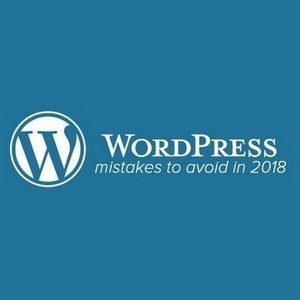 Firstly let us qualify that when we talk about WordPress mistakes we are talking about the mistakes made on self-hosted WordPress and not mistakes on WordPress.com. Self-hosted WordPress can be a business in a box for you. You grab some hosting, register a cool web domain, download a free theme and apply it to your hosting and you have a pretty good website. But there is more to it than that. Make sure you read to the end of this WordPress mistakes blog where I will share with you some must set-up features to get the most out of WordPress. But first, let’s get started and highlight some very common WordPress mistakes make that even established bloggers can make and how to fix them. We start with the biggest WordPress Blogging Mistakes of all. You will never make a bigger mistake than not backing up your site’s files because if anything goes wrong that can’t be fixed then a full WordPress re-install will be required. Without a backup, there is no site to re-install. All that hard work you did, the weeks you spent, the months. If your an established WordPress blogger It could mean years of work lost. A whole on-page and off-page reputation lost. Everything you have built up with Google gone. All those articles that spent hours and hours to write and then even longer to optimize for SEO, all gone. The loss of your site could be the loss of your whole business, your family income. Ok so that is all worse case scenario stuff and it should never get to that. But a hacker getting into your site can make a big mess and really cost you. Following on from keeping a WordPress backup of your site we have not keeping your site updated. Themes and plugins are constantly updated to bring new features and enhancement. But as well as bring new features and additional functionality they also bring updated security features. Running a site that is not kept up to date could possibly provide weakness’s for hackers to take advantage of. Don’t give hackers the opportunity to take advantage of the potential weaknesses. Ok so you now have a backup 😉 but you don’t have the time to fix the mess that can be made. Wordfence Security (We are not affiliated with this plugin) is a great plugin that will notify you of frailties on your site as they arise. They will email you with potential WordPress problems, highlighting plugin updates that are required and more. Wordfence Security is a solid add-on that will help keep your site safe. For a detailed review and a how to use guide please refer to WordFence review – Is It Really The Best WordPress Security Plugin? A lot of beginners don’t know what caching is which explains why they wouldn’t install a caching plugin. Websites are generally viewed hundreds, thousands, maybe even more per month. Each time a browser requests a web page, the server has to do a bunch of complex time-consuming calculations. It retrieves your posts and pages, generates the header and footer, finds your site’s sidebar widgets, adds all the images and so on. But depending on how often your create content the result of all these calculations will be exactly the same each time. Cacheing is when all the calculations are already processed and remembered. The end result of caching is a site or page that loads much faster because all the calculations have already been completed and loaded from last time. 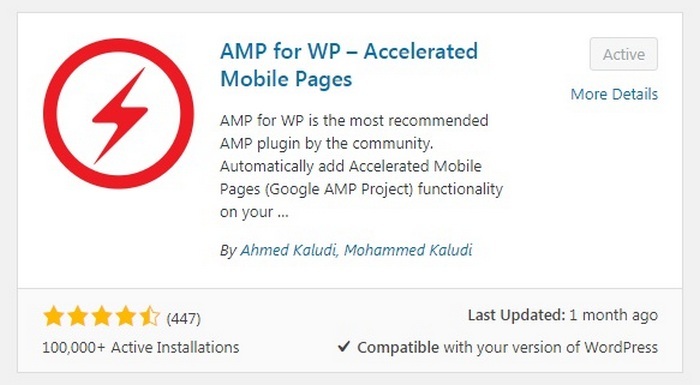 AMP is quite controversial within the blogging community because it is basically a very stripped down, but fast loading version of your site. AMP is a Google-backed project with the aim of speeding up the delivery of content through the use of stripped-down code known as AMP HTML. A responsive theme is a theme that adapts and changes size to give the best visual display as possible depending on the device used. So for example, if you viewed the desktop version of your site on your mobile you would need to zoom in to read etc. A mobile responsive theme would provide a version of the site that works well on mobile or tablet or anywhere. Pretty much all modern themes are now responsive. But it is good to note that if you are running AMP then the responsive theme would be overridden and stripped down to perform as an AMP version. If you’re not using a mobile responsive theme then we highly recommend you make the change. If you don’t want to make that change then there are some plugins that will help you provide a responsive layout for mobile without changing the theme. WP Touch is probably the plugin to use. We used to run this plugin a while back and it was very good but then changed to a responsive theme and have since moved to AMP. It is a huge mistake to discount SEO on your site considering that it is so easy to set up. SEO put simply is the process by which you optimize your site for Google search. I have already written a very long guide to SEO for 2018 that you can check out. So now that you know what SEO is you need to download and install a Search Engine Optimization Plugin. We use Yoast SEO. Yoast SEO just does a lot of very cool things. From helping you with sitemaps to showing you just exactly how to optimize. It is a great plugin, again we are not affiliated with Yoast in any way. As promised here are some crucial WordPress settings to help you get the most out of WordPress. When you first install WordPress there is a default setting that stops search engines from crawling and indexing your site. It is set like this because you want Google to visit and crawl you when you have a finished complete site so that you’re ranked accordingly. So once you are happy with what you have created head over to your settings. Click Reading and then if the discourage search engines box is ticked then untick as in the screen capture below. Permalinks, the page and post links need to be short and to the point. WordPress allows you to select how your links display. There are a couple of SEO, Search Engine Optimization reasons for changing the default setting of the Permalinks. Head over to WordPress settings again and select Permalinks. 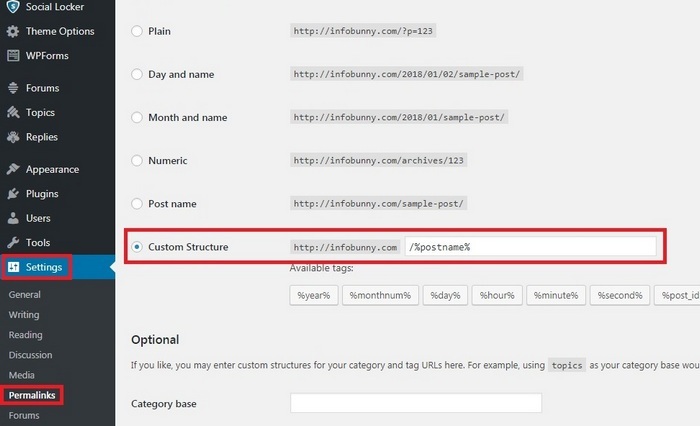 You can then either tick Post Name or you can select like we have Custom Structure. If this option is ticked then you can add in more details to the links, so you could have the Post Name and add the date when published and also give credit to the author in the link. We would advise that you just have Post Name added to The Custom Structure box. Unless there is a reason for additional information needed in the URL. Like for example your a multi-author site. But even then you are more than likely have the author credit given to posts as part of your theme so it’s not required in the URLS. Google hates duplicate content but when we talk about duplicate content we are not talking about duplicate content that is made on other sites. We are talking about duplicate content on our own sites. This is one of the biggest WordPress mistakes that bloggers make. Let me give you an example. You create a post and add it to a category, but then that post also then works well in 2 other categories as well. You then add a few tags giving you more pages that the content now lives. Suddenly you can have 3 or 4 or even more versions of the same content on your site. This is completely avoidable by just selecting 1 category to add the content (2 at the very most) and then by just no indexing tags so that Google doesn’t then recognize the duplicate pages. Duplicate pages are competition to the main pages and just confuse Google. If your looking to noindex pages then your SEO plugin should have a setting within the dashboard that will help you with this. If you are starting a new blog then I hope this article helps you avoid a few of these WordPress mistakes. Do you use any plugins that you think are better than the ones we have featured? Perhaps your a developer with a plugin you would like us to check out. 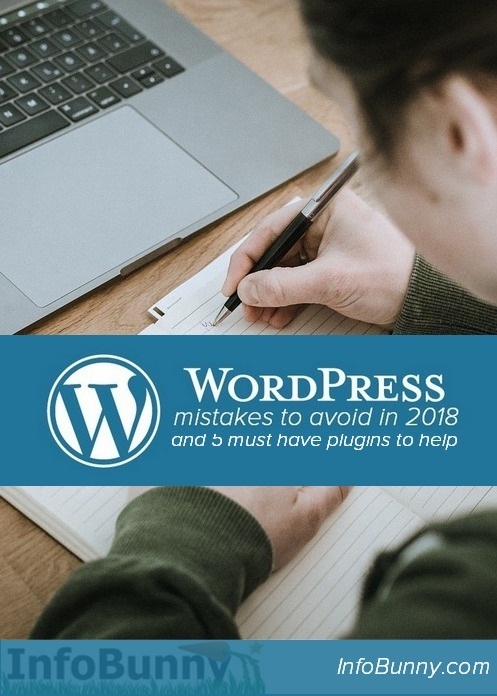 If you are thinking of starting a blog in 2018 then here are some very common Wordpress mistakes that new bloggers make and some very useful plugins that will help you fix these common Wordpress mistakes. And some bonus Wordpress Settings you need to pay attention to in 2018. All things to beware of. I update my plugins super quickly per my developer’s urging. Also, gotta have Yoast guys. If you are SEO averse like I was for many years this plugin helps you immensely. Even if you are an SEO fan, and know your stuff, Yoast makes it easier to get all the details down, cold, in seconds. Yeah Yoast has to be the most widely used plugin now, or at least one of the most widely used. Your article is just awesome, I’ll try to avoid these WordPress mistakes so that i can enhance my blogging career. Keep writing and sharing I’ve bookmarked your blog because I want to stay in touch with your each and every post. Hi Dexter, all great tips and lucky for me I have almost all of these plugins installed! I was worried it might suggest things I didn’t know about and maybe I wasn’t so up to date with my knowledge but I’m pleased to say I’m right on track! Sounds like we are on the same wavelength. Thanks for these updates. There is a wealth of plugins out there, this list is helpful. To be honest, i only have 1 plugin mention above. Thanks for such informative article. This is a great content and very helpful content. Thank you from my inner heart for sharing this content. Thank you I am glad you found the article useful. Very useful post .. Amazing content .. very useful ..
Blog Designer Pro is also an useful plugin for design your blog section beautifully. It is a step ahead WordPress plugin that allows you to modify blog and single page layouts and design. Unique 45 high-impact blog templates are available in it. Are affiliated with the plugin you mention? Thanks, another great article. I need to double check my blog for Duplicate content and non-index tags as I have some posts in 2 categories. Does AMP create a mobile version for my website or I have to use another plugin like WPtouch? You don’t need wptouch if your AMP but I would still suggest using a responsive main theme.